This entry was posted in Administrative enforcement, Autumnal Hook, China IPR, Enforcement, Legislation, Patent, Patent Quality, Patents, SIPO, Special Campaign, Zhen Lei and tagged Special Campaign. This is really interesting, but I’m confused by the discrepancy between the numbers cited above, which I understand come from SIPO, and those reported by the SPC in its April 2013 white paper, which says there were 760 first-instance administrative patent cases accepted in 2012. I’m tempted to think the difference is that one sources includes utility model and design patent cases as patent cases, while the other doesn’t, but I actually don’t think that is right. Or does the word “accepted” have some significance that I don’t understand? What am I missing? Also, are the administrative cases involving patent passing off all criminal cases, or are some of them litigated as civil matters? 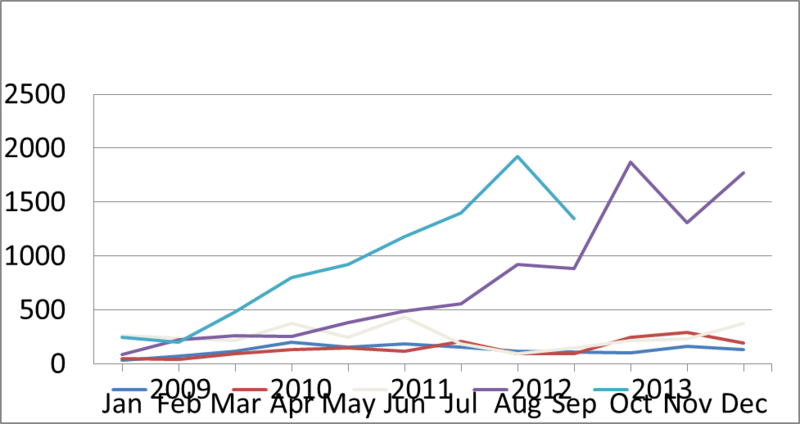 Finally, the SPC reports 9,680 civil first-instance patent cases in 2012 (court cases, not administrative). Do you know if that is infringement litigation only or does it also include patent passing off? Thank you, that’s very helpful. 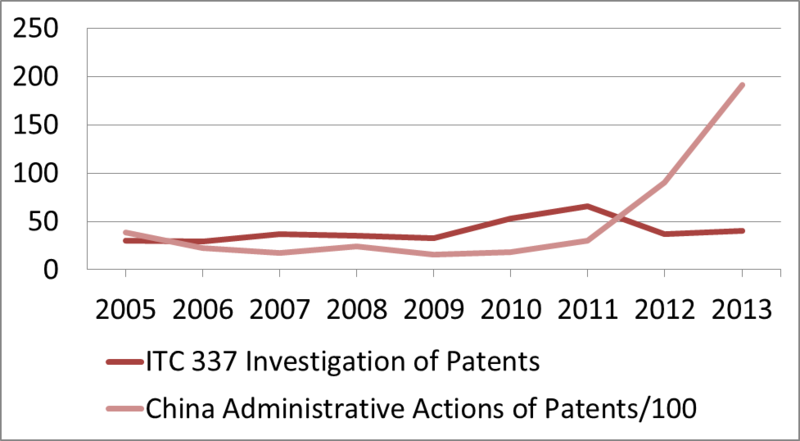 Just to follow up, then, when the SPC says there were 9,680 civil patent cases in 2012, that’s probably mostly infringement litigation, then, right? 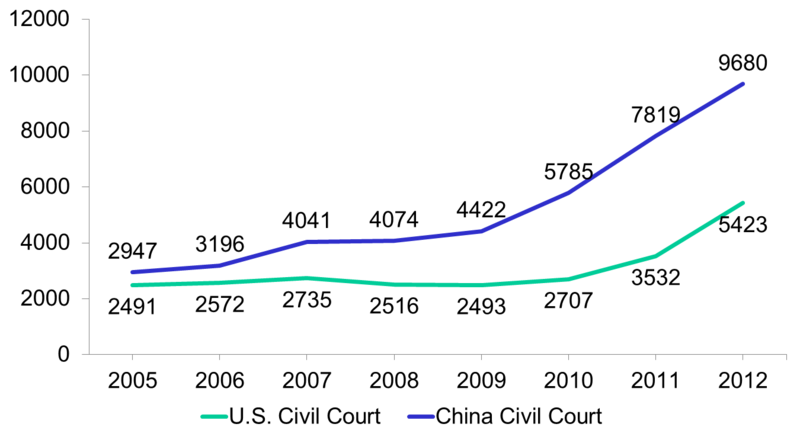 That’s a huge number, though of course it includes not just patents but also utility models and design patents. By the way, are you Mark Cohen? I saw a reference in China Patents & Trademarks to a presentation you gave titled “Future of IP Rights in China: Copyright and Patent Right” at the International Symposium on New Developments in IP Rights in China held at the University of California at Berkeley on October 4, 2012. Is there any chance I could get a copy of this? Civil cases in China refer to disputes between private parties over civil obligations. Administrative cases involve disputes with administrative agencies. In China all validity cases (appeals from decisions to grant or deny a patent or trademark) are administrative cases when they are appealed to the court. They are typically (traditionally) heard by the administrative division in the court, according to the administrative procedure law. Infringement cases are typically heard by the civil division, according to the civil procedure law. There have been experiments.in combining civil, and/or criminal and/or administrative jurisdiction in one combined “IPR Tribunal” in various localities in China. Yes I am Mark Cohen, and this is my personal blog. I haven’t gotten around to posting some of my powerpoints – I hope to at some time in the future. I think Berkeley has posted some of my past powerpoints.